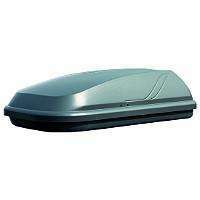 The Halfords 250L Grey Roof Box has the benefit of allowing up to 50kgs of extra load capacity as well as being ½ width which allows room for other roof mounted accessorise such as cycle carriers. The roof box is 250 litres and the space it offers is equivalent to a small car boot, which will offer that extra storage space you need when going on holiday. do these need a roof rack already installed to fit the box? Sure but where do you put it when it's not being used?